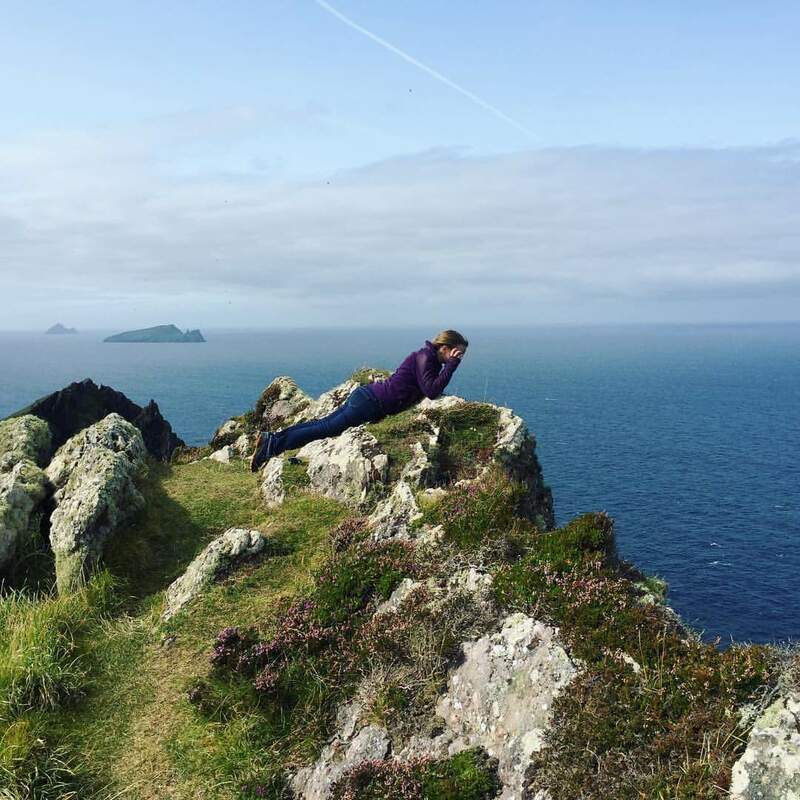 I woke up missing Ireland. When I tried to articulate my want to return, someone said to me, “Coming back from vacation is hard,” and I suppose that is factual, but my yearning for this place goes much deeper than that. The entire country has a rhythm that flows through it. It’s a beat that starts the second you arrive. A thrumming that settles deep in your veins. It connects you to everyone around you; grounds you to the rock beneath your feet. It is impossible to explain what it’s like, standing on the edge of existence, surrounded by water and sky. Everything is alive. The wind whispers ancient secrets as the tide breathes in and out. The trees look down on you, full of knowledge. They can tell you of the past, and of your future, if you are willing to sit beneath them, to take the time to listen. The earth is full of ancient wisdom. It has seen all of our follies, and all of our triumphs. It has been the sponge that soaked up the blood of the Fallen, cleansing itself, after countless battles. It has been a steady force for its inhabitants for centuries. The earth is home and grave, food and fire. Once you set foot on it, it is also you, inextricably linked to your own heartbeat. There was a moment when I stretched my body out along a cliff. I let the salty air from the ocean blow over me. I heard the birds playing in the currents of the air. It was the most alive I have ever been, like being everything and nothing at the same time. Everything because I could feel nature embracing me, pulling me toward ecstasy. Nothing because the ocean went on forever, and the grass whispered in the wind, reminding me I was just a brief moment in the history of this landscape. Now I have returned to my place of origin, and I listen for the wind; I reach out for the rhythm of the earth beneath my feet, but it has been hushed by generations of carelessness. This place is at once too silent, and too loud. There is something missing, not just from my surroundings, but from me as well. 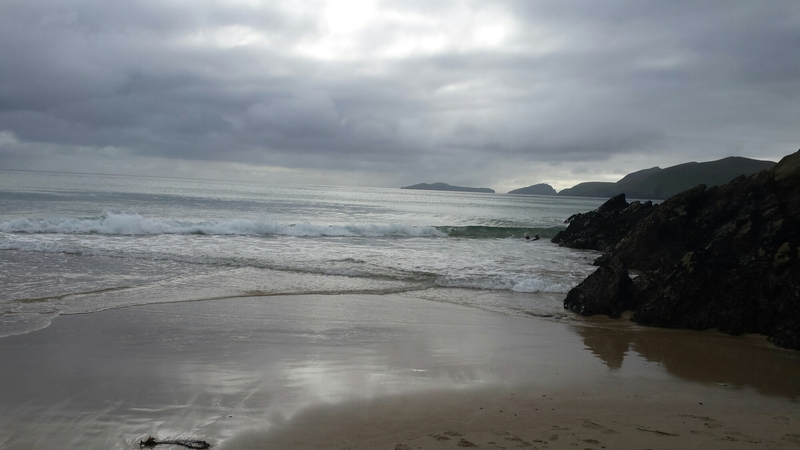 I left a part of myself on a beach in County Kerry, and all I can do is promise to return. To tell myself that someday I will rejoin the rest of me; that I will stand on the shore, and sigh in tune with the exhalation of the tide. This is by far one of your best writings. I could feel your heart and soul in it.